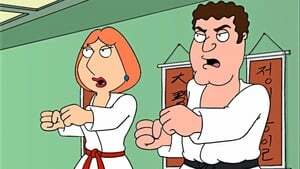 Bonnie convinces Lois to join her Tae-Jitsu class and Quahog is invaded by New York “leafers” coming to look at the pretty colored leaves in fall. Lois quickly becomes a black-belt, and Peter uses his new dangerous wife to drive away all the annoying New Yorkers. 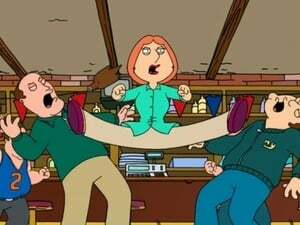 However, Lois’ new-found violent side finds its way into the Griffin household, and after trying counseling, the whole family has an all-out brawl to get it out of their system.